Here is actor Karthi's reaction to the AV that was played before he receieved the Best Actor - Male award at Behindwoods Gold Medals 2018. VC IS BACK - ACTOR KARTHI'S MASS ENTRY TO BEHINDWOODS GOLD MEDALS! 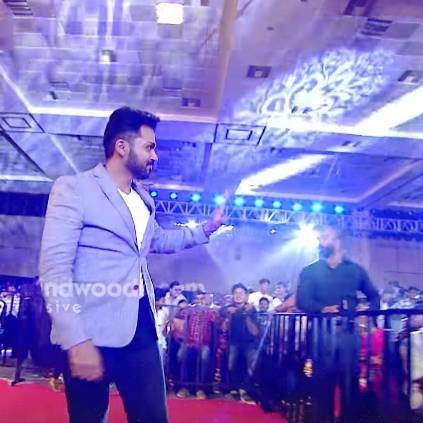 Here is the exclusive video of actor Karthi's entry into Behindwoods Gold Medals 2018 award ceremony. People looking for online information on Behindwoods Gold Medals 2018, Karthi will find this news story useful.